• 1,188 sq. ft., 1 bath, 3 bdrm single story – $249,900. Up Coming Listing!! 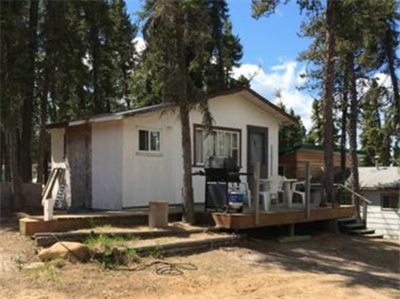 Candle Lake, Prince Albert North East – Check out this upcoming listing!! Willow Street is located down Simon Lehne, behind “Hello” Rock. This area is very quiet and peaceful and has a great lake feel to the property. This house and yard show so nice. Candle Lake, Prince Albert North East – We invite everyone to visit our open house at 16 Rewerts BAY on February 11 from 1:30 AM to 3:00 AM. Mother Nature at it's BEST!! 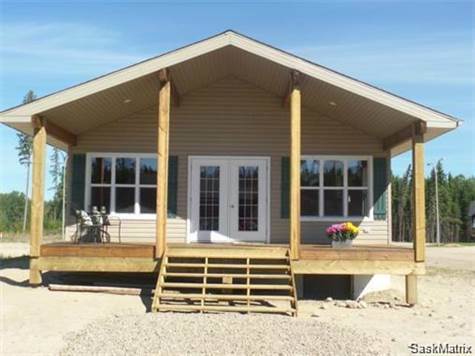 Lakeview 320sqft, 2 Bedroom Cabin located next to the Moosehorn lodge & Store. Wonderful location, own the 50 X 125 Lot. This year round cabin is fully furnished and is located just seconds from the lake. Access to boat launch is available. Little Bear Lake is home to several species of sports fish and the pristine surroundings offer miles of ATVing or sledding opportunities. 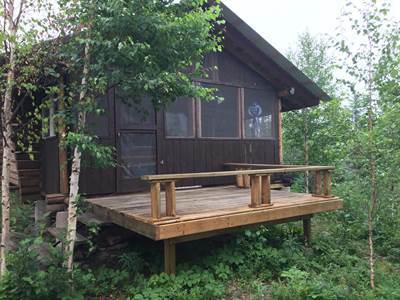 This cabin is part of the Moosehorn Lodge Package, but available separately. Ask about the adjoin cleared and empty lots available and other Cabin Packages. Up-Coming Listing!! Remote Turn-Key Cabin located at Kistapiskaw Lake. The cabin is the only Cabin on the lake and is Semi-remote with road access to the lake, than you need quad, boat or plane to access the cabin. The Log Cabin is approx. 480sqft with loft area. Front Screened in porch area and front deck. Located on cement piles and new metal roof. Located between Jan Lake and Flin Flon, which is nearby to Leaf Rapids Recreation Site, Ministikos Island and Jan Lake Recreation Site. Posted on November 26, 2016 1 Comment on Hello world!